Danny Cottage is a lovely Grade II listed thatched cottage bought from the National Trust by long-time Alfriston residents, Kitty and Michael Ann and has been extensively and sympathetically restored and furnished and equipped to the highest standard. 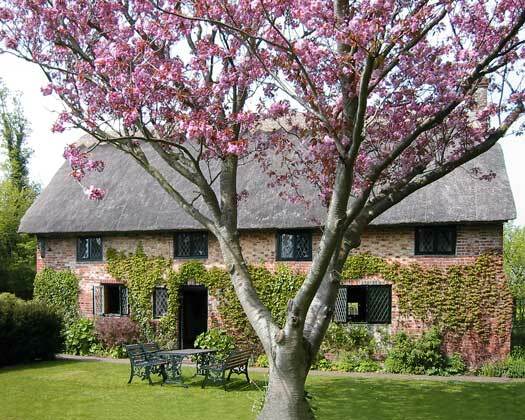 It is located in stunning countryside along a quiet lane but within an easy ten minute walk to the village of Alfriston, one of the most beautiful villages in England. If you can bear to leave the cottage you will be amazed at the dozens of things there are to see and do. This self-catering cottage can accommodate up to six guests. You can dine inside the cottage or in the lovely setting of the garden or at one of the many excellent pubs and restaurants in the immediate area. Although a minimum of week-long stays are preferred, off-season Danny Cottage can provide a weekend escape from the hustle of city-life.